I spied the above fliers at Beacon’s Closet today before endeavoring upon a fruitless search for sundresses. What I found were “clothes for hos” instead. This in and of itself would not have been a problem— but they were big for me to wear! 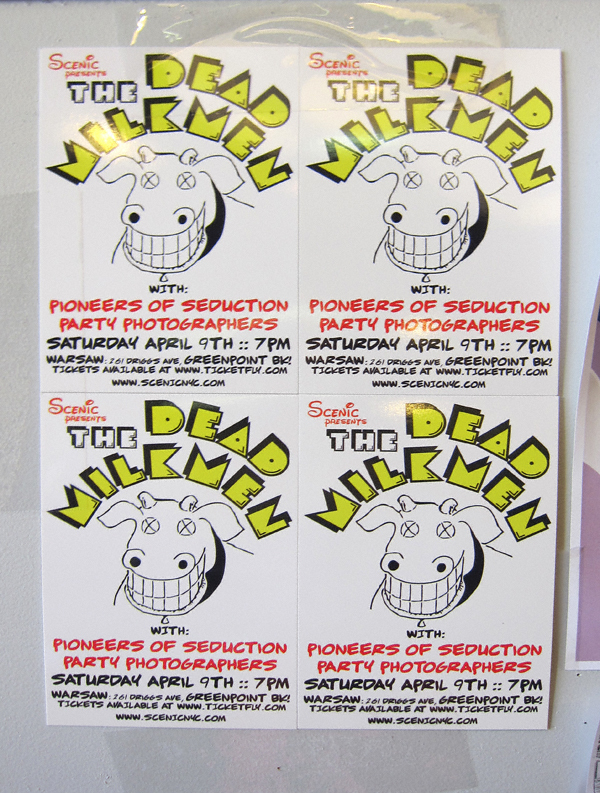 Nonetheless I was pretty jazzed to learn the Dead Milkmen are coming to town. Given the “thing” for all things nowadays 80’s this is probably the coolest to come to north Brooklyn since the Cramps! Here’s a little something to get you in the mood. “Punk Rock Girl”— or as prefer to call it: the courtship of Miss and Mister Heather.